Welcome Kori, Today we this darling Color My World Printable Valentines. Aren’t this darling? I think this would be a fun to put with a cheap pack of pencils for close friends if you don’t do classroom valentines. If you are decorating for Valentines day check out this free printable valentine banner shared yesterday. Also don’t miss these amazing Valentines. I have teamed up with some of the most creative bloggers to share the cutest Valentines imaginable. Each day you will be amazed with their cleverness! You will want to stop by and see these fabulous ideas. As a freelance illustrator, I can’t ever pass up the opportunity to put a little art into my kid’s holidays. There are times that we craft together, times we paint, and other times we just color (which is always a family favorite)! My daughter who is eight loves when I draw pictures for her to color, so I decided that would be a fun valentine to give her friends too! 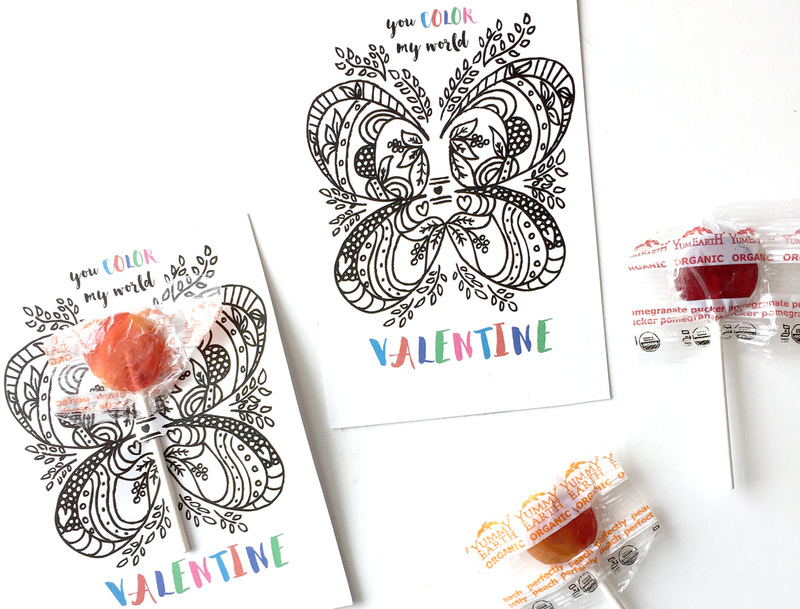 We have been loving these organic lollipops and I knew I wanted to incorporate them into the kid’s valentines. After my daughter and I talked, we decided that a butterfly would be perfect and the lollipop could be the head, then I got to work! I drew a butterfly with plenty of patterns that I thought would be fun for kids to color, then I scanned it in to create the printable. A little text and proper sizing for the lollipop and we had a super fun Valentine! 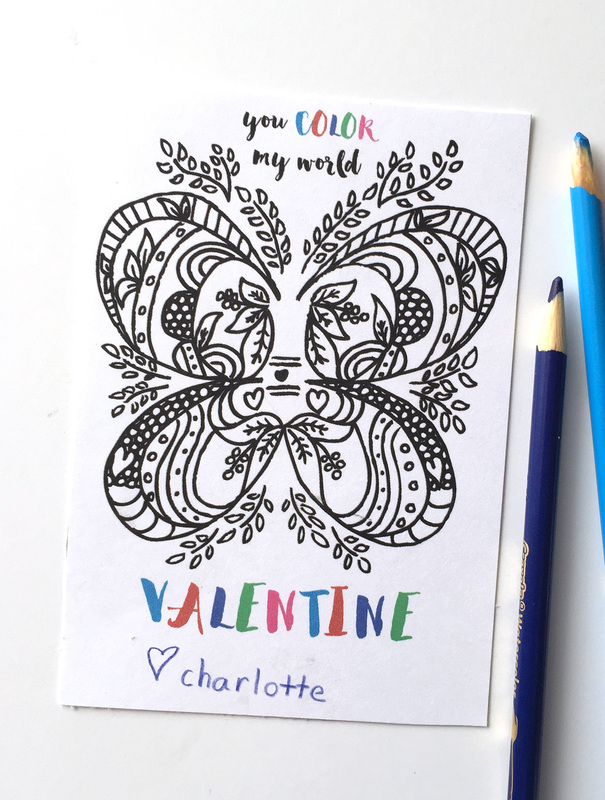 Download the printable Color My World Valentine HERE and send it off to your printer! I printed mine on #110 white cardstock. After printing and cutting the Valentine out, use an x-acto blade to make slits on the top and bottom lines in the middle section of the butterfly. Slide your lollipop in, have your littles sign their names at the bottom and they are ready to pass out! 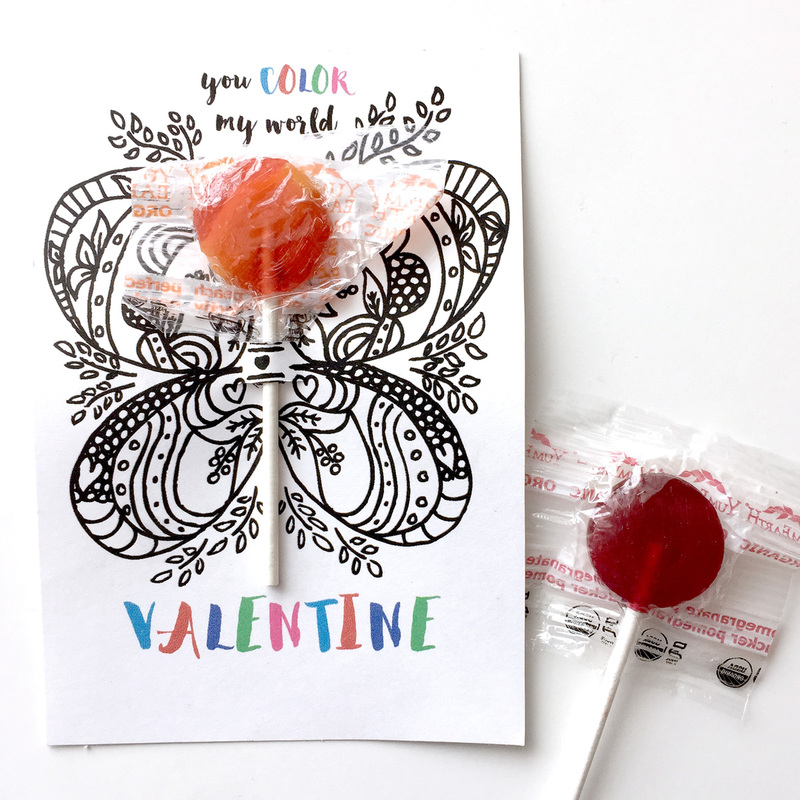 Not only do the kids get a fun valentine and lollipop, but they get a little coloring sheet! If you are trying to avoid a candy valentine, simply use the tag without cutting the slits in the middle! Punch a hole in the corner and tie the tag onto anything with lots of color! Try a small box of crayons, paints, pencils, or even to little tubs of play doh as non – sweet Valentines this year! CLICK HERE TO DOWNLOAD THE PRINTABLE VALENTINES! 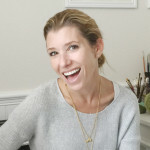 A HUGE thank you to Skip to My Lou blog for inviting me to guest post today!! 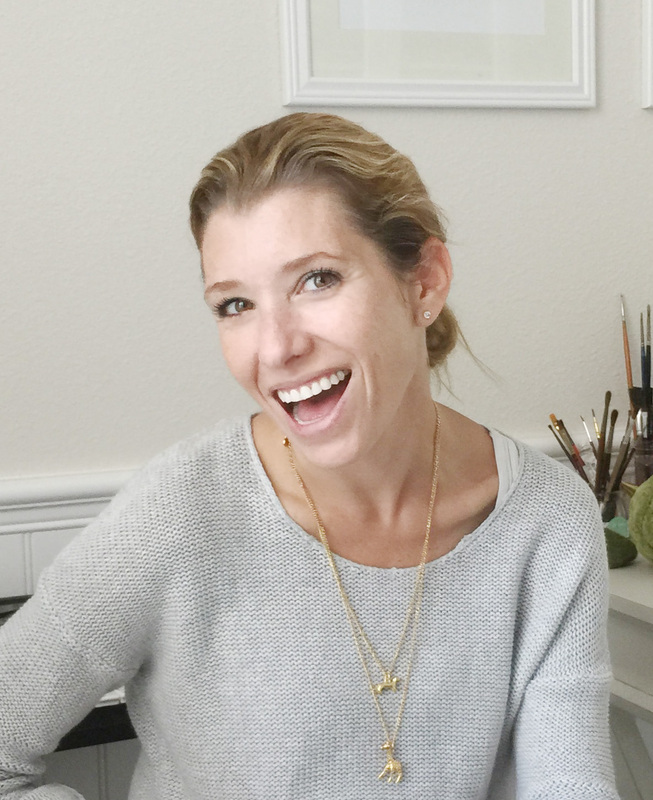 My name is Kori Clark and I am a freelance Illustrator, Designer & Watercolorist. I spend my days designing custom illustrations and graphics for other artists, designers, and portraits for the home. I am a wife, mother, animal lover, southern girl, and total homebody! My goal is to design both art and life that is filled with joy. 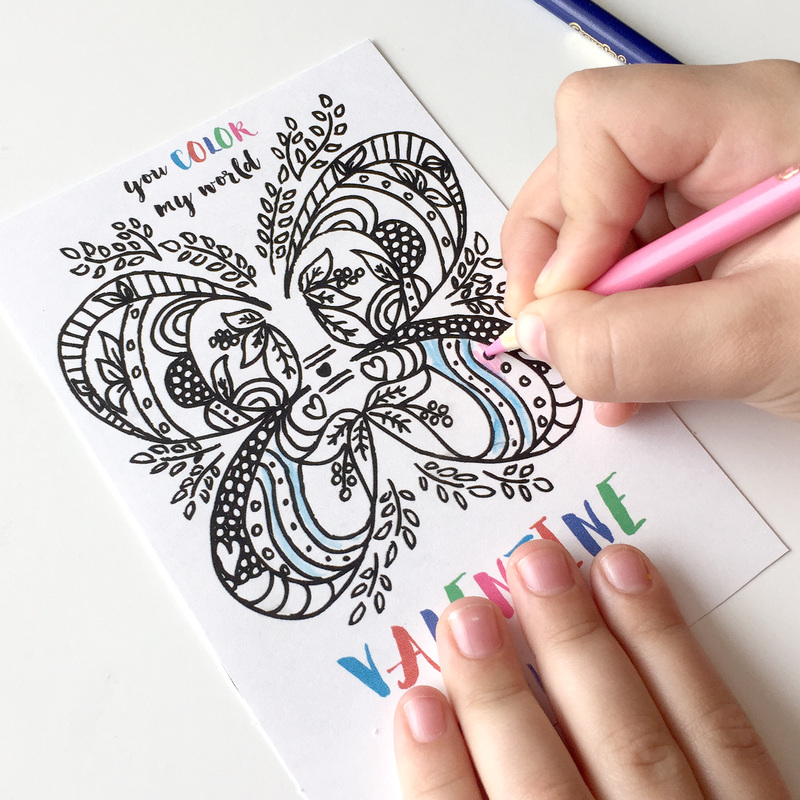 I hope you enjoy these free Color My World Valentines! Visit me over on my blog for more freebies and fun like Puppy Valentines , Printable Valentines for DIY Network, and Digital Wallpaper Downloads! Wouldn't these also be lovely with a single, pretty coloured crayola marker in place of the lollipop?? Thanks for sharing!